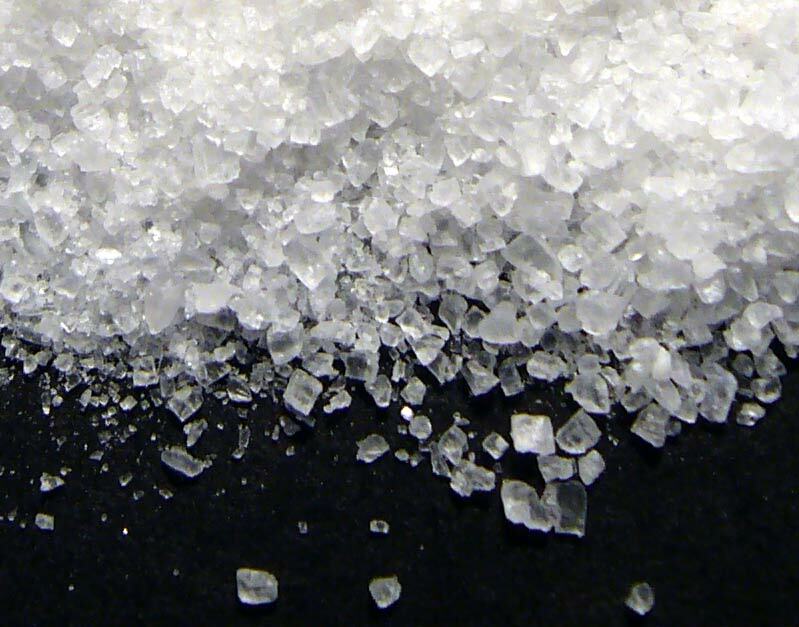 Salt is a mineral, not a spice, but it’s one of the most important food seasonings. 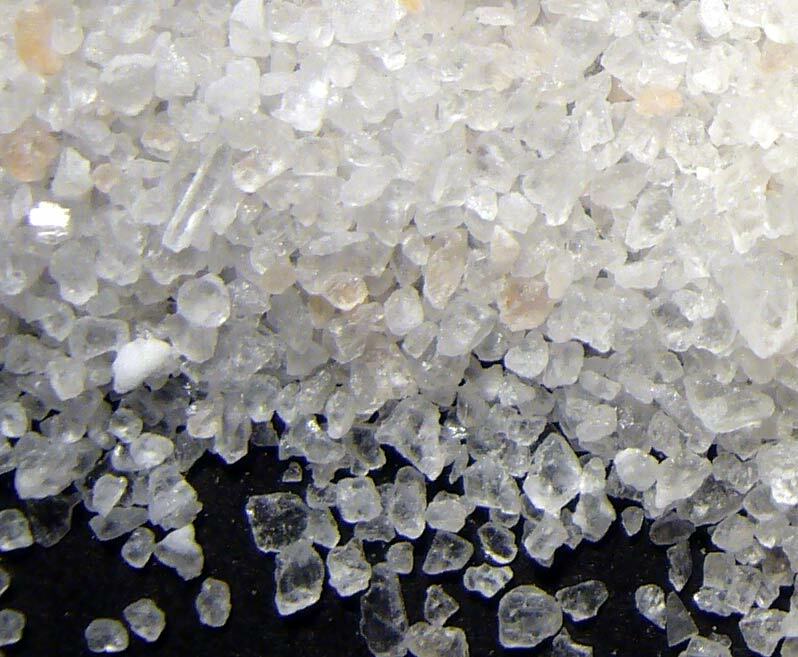 In recent years sea salt has become trendy, but does it really matter? 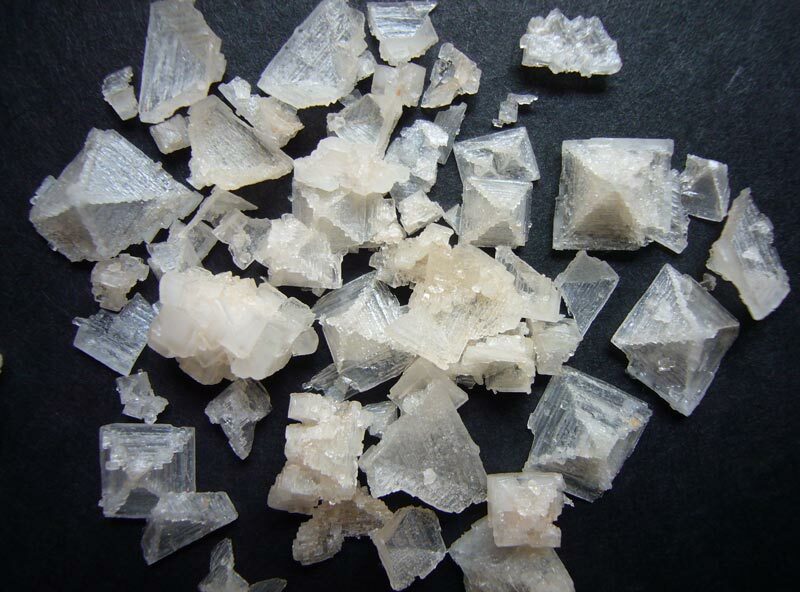 The flavors of many salts do differ, based on chemical composition and crystalline structure. 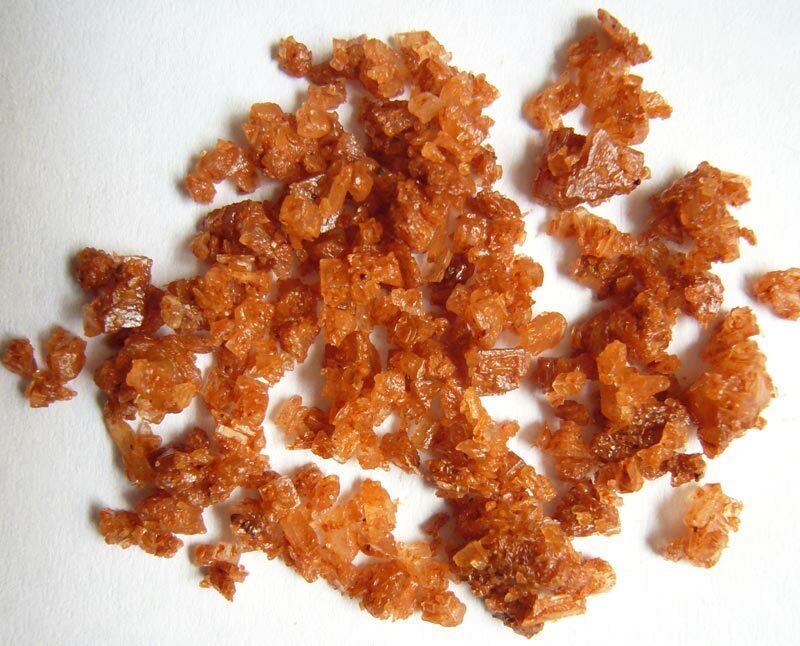 For example, Nuchi-masu is only 73.3% salt, the rest is other natural mineral content that also affects the taste. 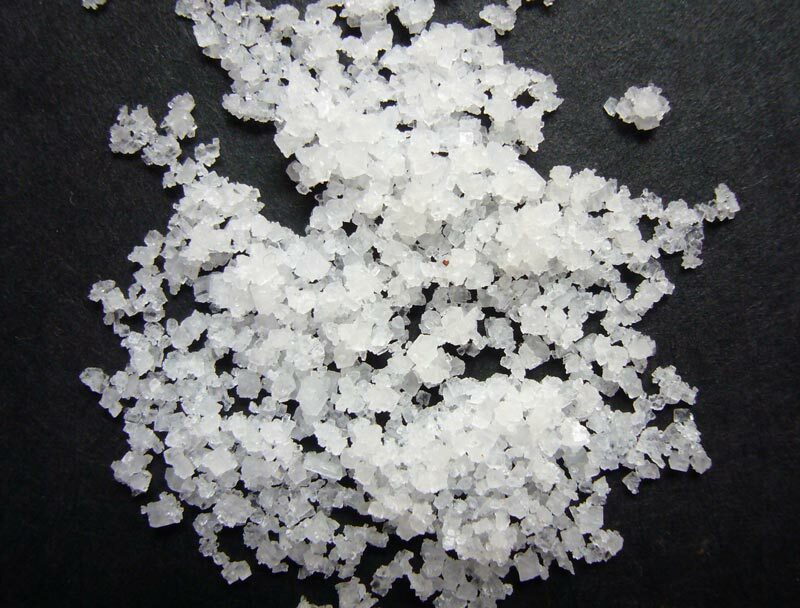 Many salts have different textures than table salt; Cyprus flakes are shaped like pyramids, Maldon and Halen Môn are delicate flakes, Fleur de Sel is slightly moist. 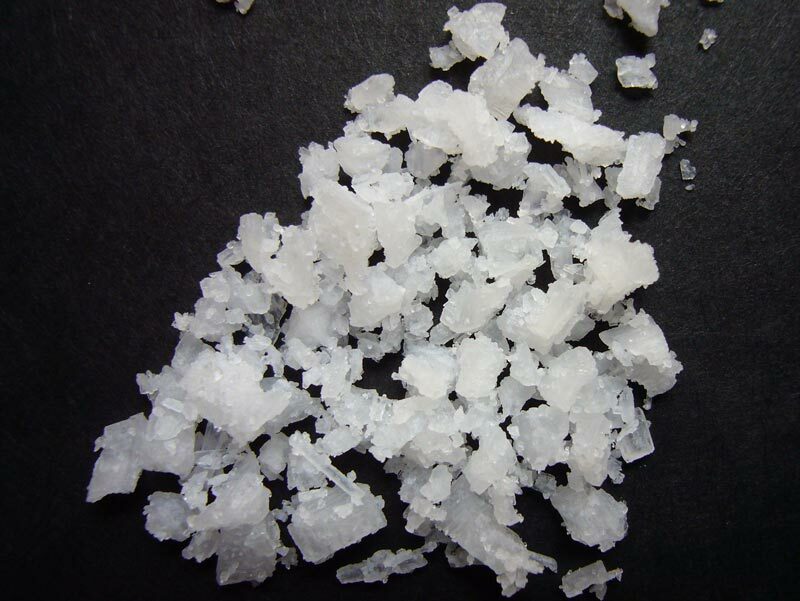 Use fancy salts directly on cooked food to impart the greatest effect. Jeroen van Wieren at Salsamentum tests salt on cooked egg whites, a clean canvas to experience unique salt flavors. As a mineral, salt will never go stale. 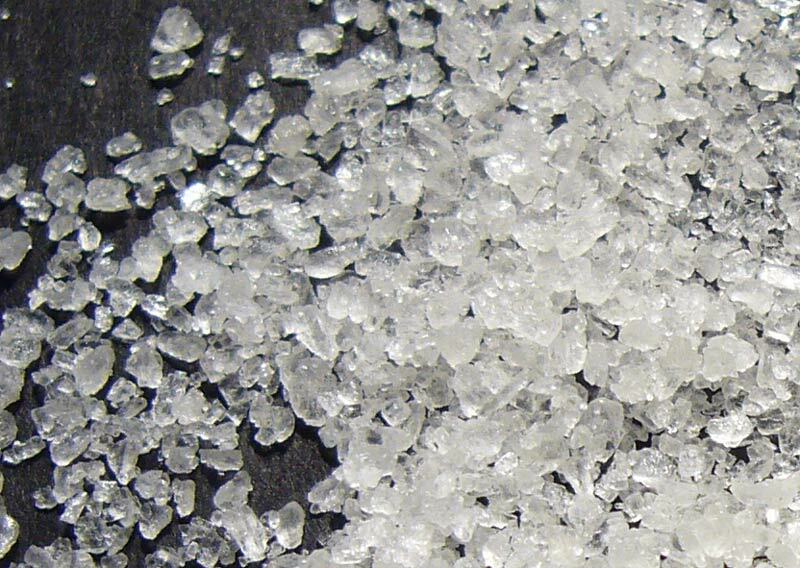 Some fancy salts, however, are packaged wet or with organic components that might dry and age. 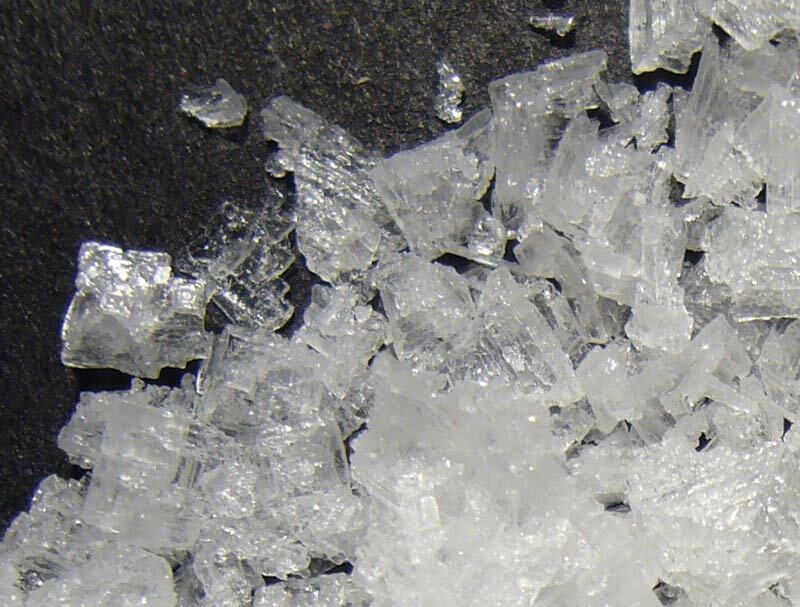 My favorites are RealSalt (Utah), fleur de sel Sierra Rica (Portugal), fleur de sel Guérande (France), Halen Môn (Wales/UK), and Nuchi-Masu (Japan). Murray River. Mine salt, solar evaporated. Big, pink pyramid crystals. Made from underground brine from Murray Darling Basin. Light texture, sharp and lasting taste. Pyramid flakes. Seawater, sun-dried. Crunchy but dissolve very fast; delicate structure. Halen Môn (Anglessy). Seawater, artificially dried. Flakes. Crunchy flakes, flat. fresh taste. Maldon. Seawater, artificially dried. Flat pyramids. Soft texture, falls apart/crumbles. delicate, not chunky. Fleur de sel Guerande. 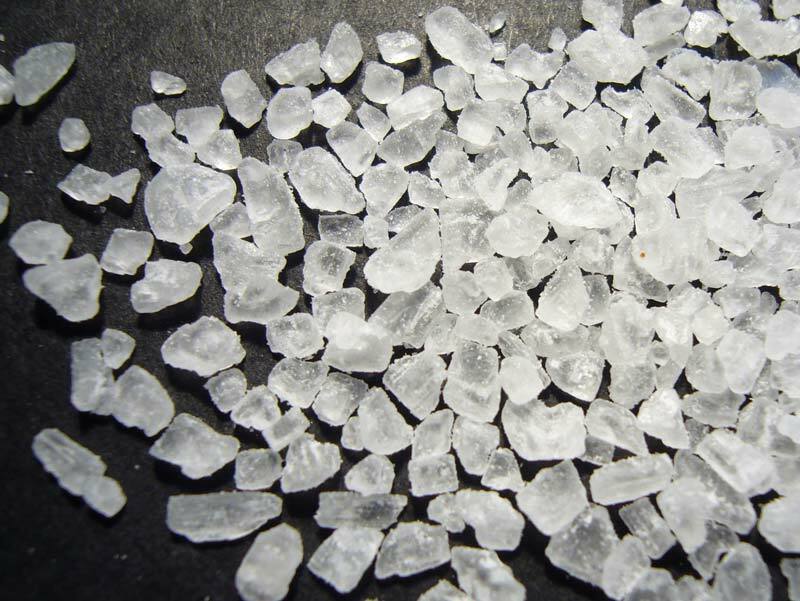 Fleur de sel. “For over a thousand years, men have shaped Guérande’s salt marshes for salt production.” Wet, clumpy. Brittle texture, small flakes. Sharp, biting mineral edge. La Baleine. Seawater, sun-dried. 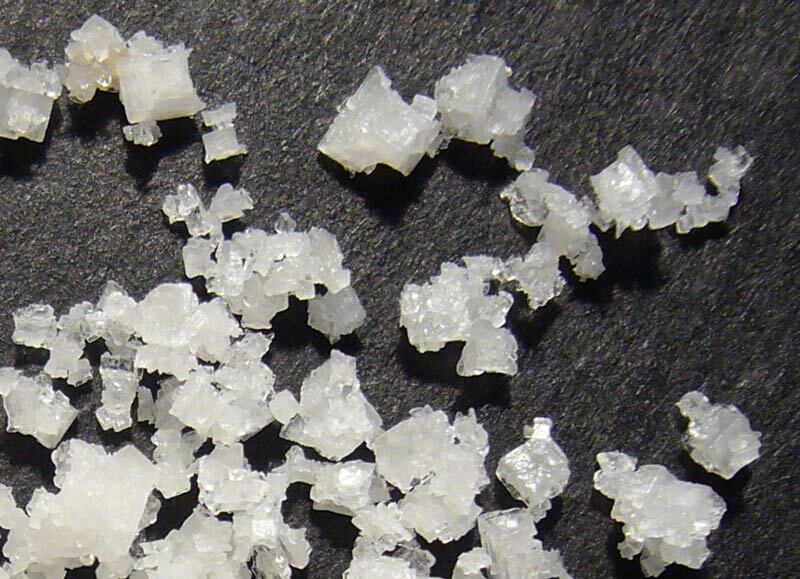 A typical European table salt sold as fancy salt in North America. A really decent salt, but nothing special. Black salt. Mine salt. Powder. Fine, powdery. 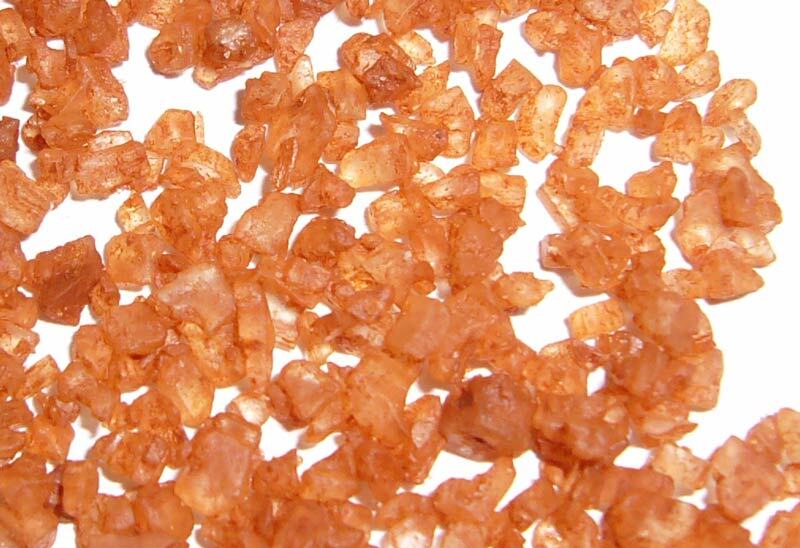 Sulfured salt used in some traditional Indian spice blends, such as chat masala. Strong sulfur taste, I find it revolting. Bali. Seawater, sun-dried. Coarse grain, hollow pyramids. Decorative, sturdier than flakes. Deeper saltiness that spreads evenly across the tongue. Il sale dei Papi (Cervia). Fleur de sel. Salt the Pope uses. A lot like regular sea salt in texture. Doesn’t really stand out for me. Nuchi-masu (Okinawa, Miyagi Island). Sea-water instant Mist Dry Method. “Contains 21 kinds of minerals and was registered to the Guinness World Records.” Nuchi-masu is about 27% natural mineral content. A very clean taste that dissipates quickly due to the fine, powdery grain. Himalaya Crystal Salt. Mine salt. Fine. Unremarkable. Decorative bits. Sierra Rica. 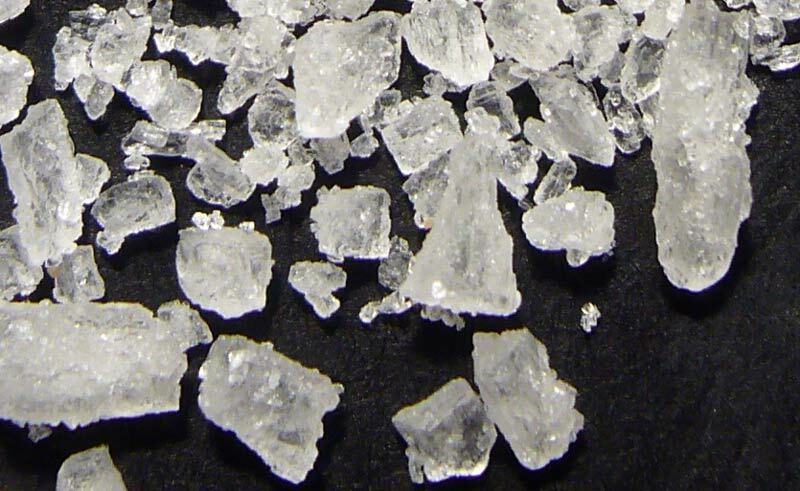 Fleur de sel. “Rui Simeão uses salt pans of baked clay in the Ria Formosa Natural Park on the Algarve coast of Portugal.” Wettest of all the Fleur de sels on this page. Very light texture. Has a mineral taste similar to Fds Guerande. St.Helena. Fleur de sel. Minerally, mildly damp. Silver Crystal (Kalahari). Underground lake saltwater, sun-dried. Fine. “From an ancient inland underground salt deposit located in a pollution free semi desert.” Unremarkable. Sal de Ibiza (Ibiza). Fleur de sel. “Sal de Ibiza is harvested exclusively in the nature reserve Parc natural de ses Salines d’Eivissa.” Very sharp, biting mineral flavor. Overwhelmingly salty. Very nice, light texture. Mallorca. Fleur de sel. 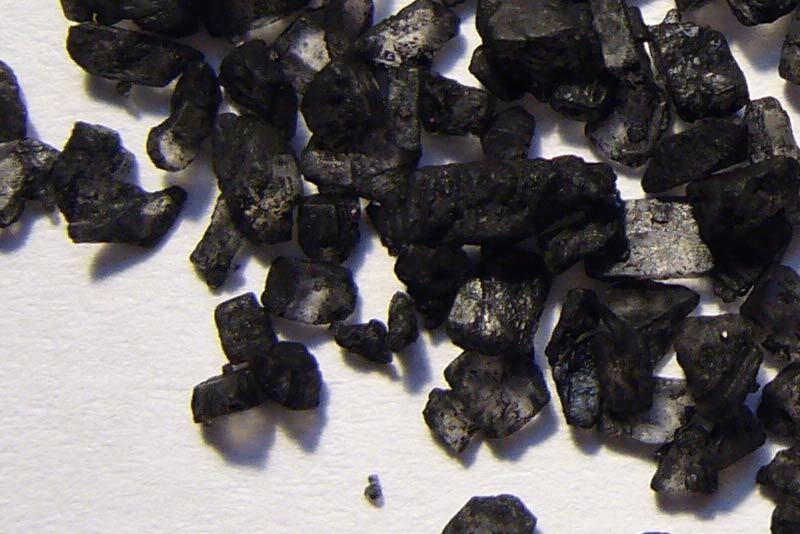 Fine texture, small crystals. Damp, super salty, like sea foam. Alaea Rouge (Hawaii). Seawater, sun-dried. Earthy finish. Perle Noir (Hawaii). Seawater, sun-dried. Spicy, almost peppery quality. Papohaku (Molakai, Hawaii). Seawater, sun-dried under glass. Haleakala (Molakai, Hawaii). Seawater, sun-dried under glass. RealSalt (Utah). Mine salt. Coarse Kosher and Fine. Red bits really do taste of earth. Gives food a strong mineral tang. 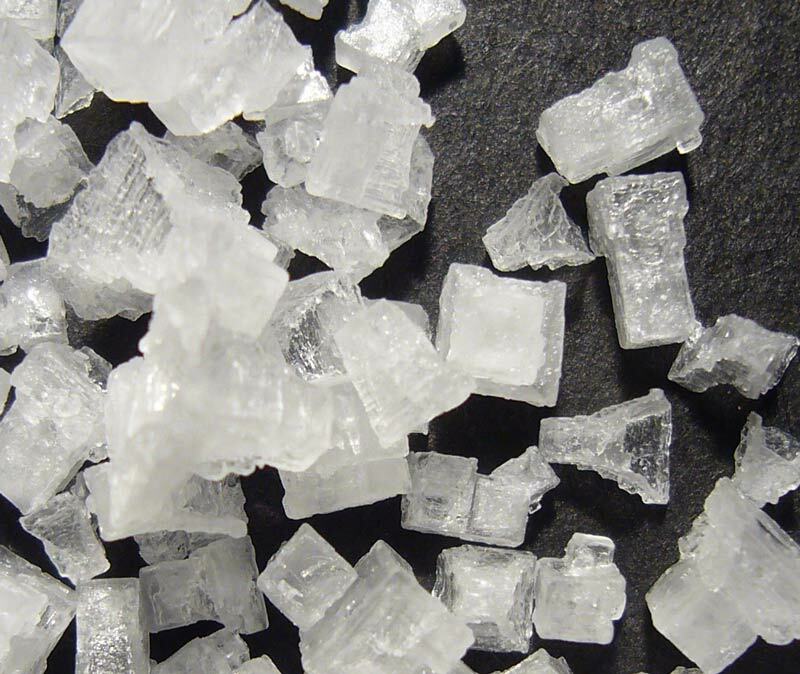 Fleur de sel – In the right weather conditions a thin fleece of salt appears on the seawater in the salt pan. This fleece is harvest by hand and dried by the sun. Sea-water solar evaporated – Sea water evaporated in a natural salt-pan, by the sun. Sea-water evaporated by artificial heating – Sea water evaporated artifically. Sea-water instant Mist Dry Method – A fine Sea water mist is blown dry by hot air. 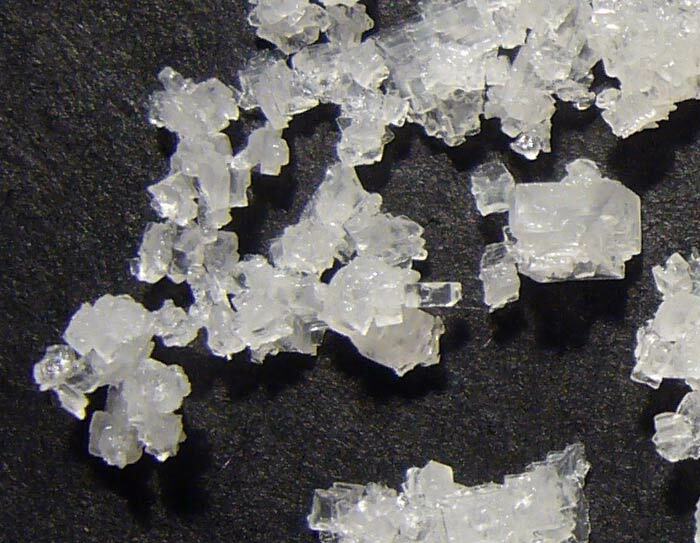 Fine salt crystals fall down like snow. 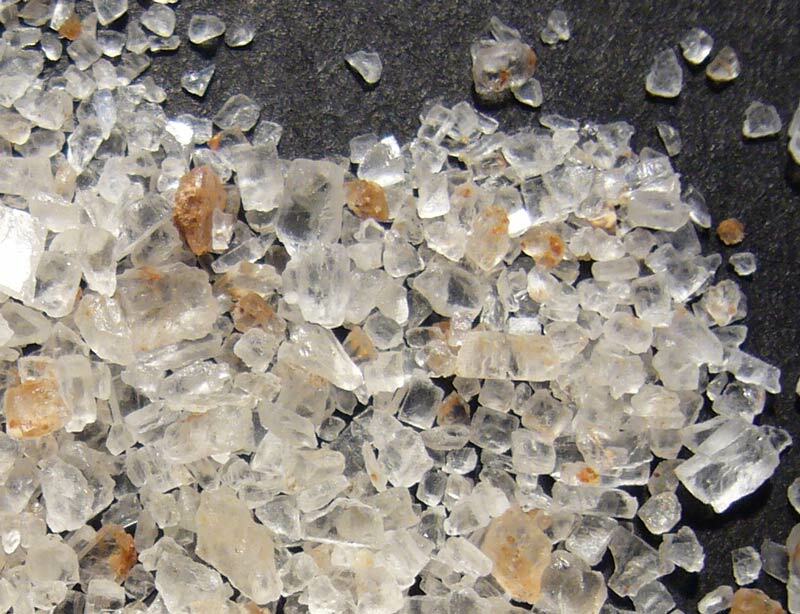 Mine salt (rock- or stone- salt) – Harvested through digging by hand or machine. Mine Salt solar evaporated - Salt water from a underground salt-lake, pumped up and evaporated by the sun. Vacuum Salt - Clean water is pumped into an underground layer of salt. The now salty water is pumped up and evaporated by artificial heating. 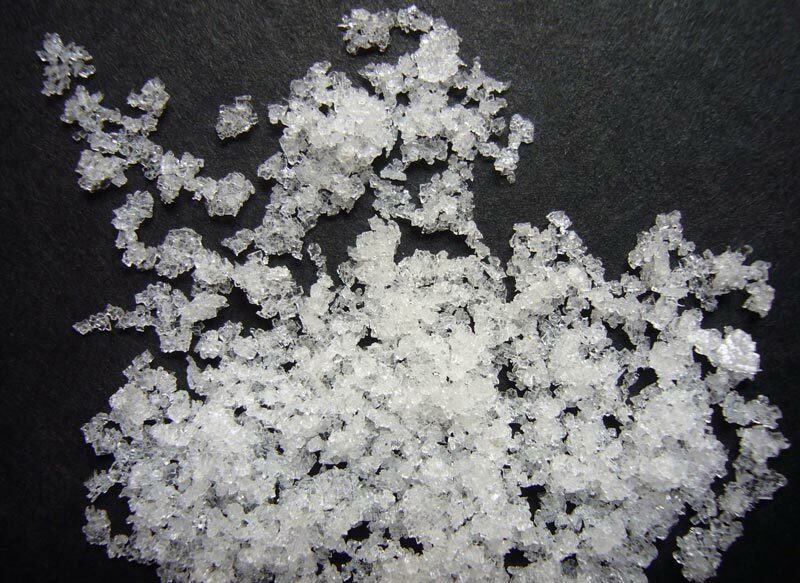 Salt from salt-source – Salt water from a natural source (no pumping), evaporated by the sun in its natural surrounding. 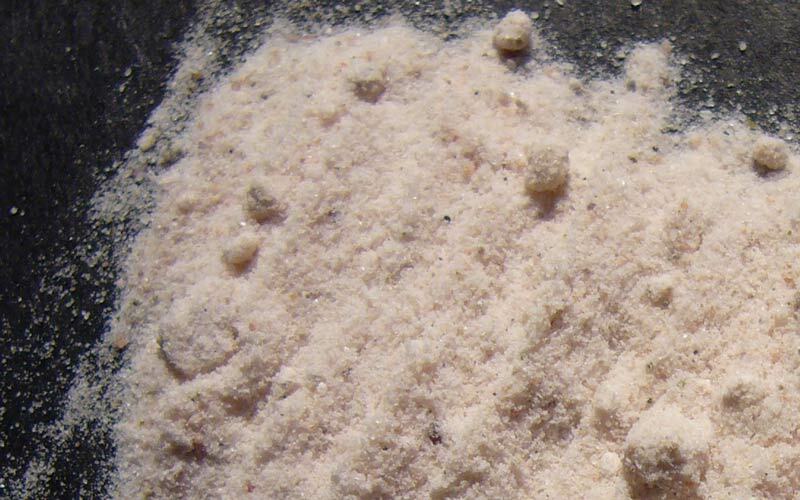 Salt from dry salt-lakes – Salt collected from dry salt lakes. Salsamentum – The best salt seller I’ve found is in The Netherlands. Most of the salt pictures on this page come from thier world salt sampler of 15 unique salt terroirs. Salsamentum has a webstore, or you can visit them at Amsterdam’s Noordermarkt on Saturdays. Salsamentum was recently featured in the Telegraaf (Dutch). Your site is AWESOME! Thanks for your contribution to the world of gastronomy. I wholeheartedly agree with Tracy. The research and time you’ve put into this site is really wonderful. I came across it through the DIY Vanilla extract Instructable, and I was shocked and delighted to find that your knowledge and research extends to other spices and salts. As you say, there are tons of other vanilla extract tutorials out there, but you had me at the FDA citations. I will definitely be writing a post about this for bakegeek. AWESOME! i agree with everyone else. You really need to write a book. if you do, please tell me and i will line up to buy it! Thank you for all of the information on your website – I started with Vanilla, since I had just visited the Hawaiian Vanilla Co. yesterday. I see that you are based in Hawaii – and I was happy to see that there is one other source here on the big island selling vanilla beans. On my next trip to Mexico, I’m going to have to check out the cinnamon. I love the stuff and had no idea about the different varieties. 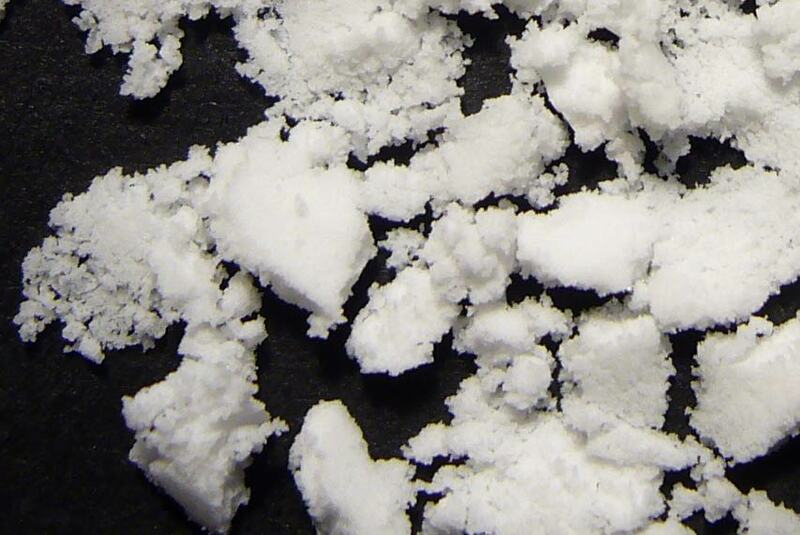 Lastly – I reviewed your notes on Salt – very cool. One thing I can easily find here on Hawaii that’s more difficult to find in Calif, are the Hawaiian sea salts. I pick up some from the local markets about every other trip – and I love using it in my cooking. Thank you for your time in doing the research and for providing this info!